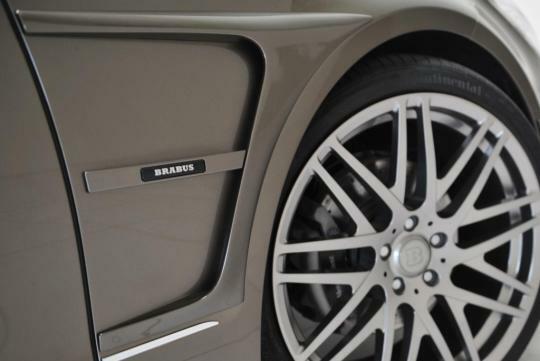 The Mercedes-Benz CLS Shooting Brake goes to the Brabus camp for an extensive upgrade programme which gives a performance and cosmetic update. 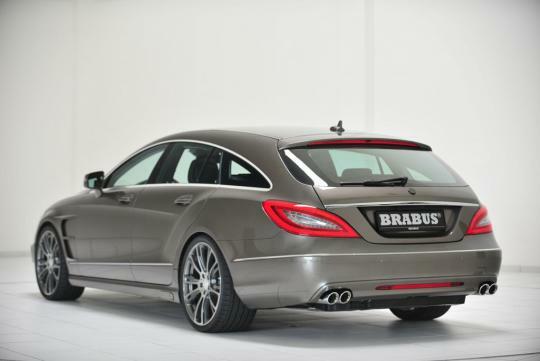 Brabus have revealed their new handiwork through the CLS Shooting Brake (CLS SB). The German tuners have not only given the trend setting station wagon a usual power boost but also a rather 'modest' cosmetic upgrade. The CLS equipped with the AMG sport package also gets the 'Brabus touch' with a new front spoiler lip, while the CLS 63 AMG is available with an additional front spoiler and fender attachments. The cosmetic kit contains the usual goodies comprising a new front spoiler, front fascia attachments with LED lamps, side skirts and fenders manufactured either from flexible high-grade plastics or carbon fibre. 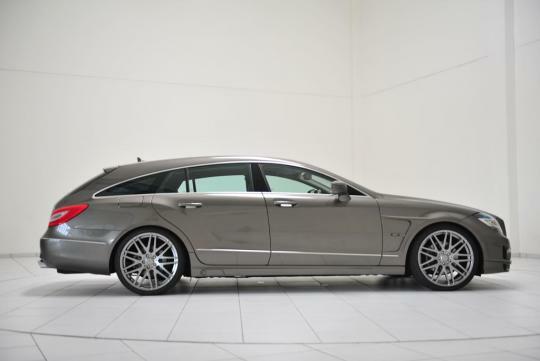 Different models of the CLS SB get varying kit components and power output. AMG sport package equipped CLS receives a striking front spoiler lip that can be further refined with an additional front spoiler and fender attachments. 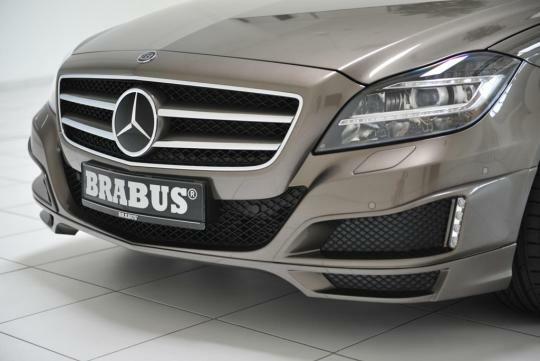 The CLS 250, 350 CDI models and the CLS 350, 500 receive the Brabus front spoiler, front fascia attachments with integrated LED daytime running lights, and sport fenders side skirts with integrated entrance lights. 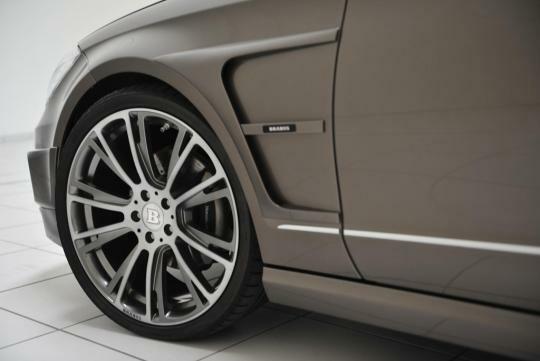 The CLS SB rides on Brabus Monoblock wheels in various sizes, available in six designs. 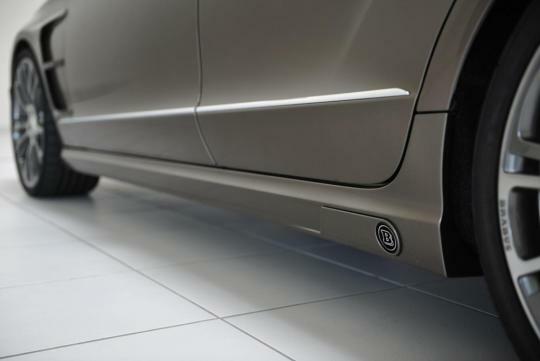 A new suspension option, created in partnership with Bilstein, brings the car closer to the ground by approximately 35mm. 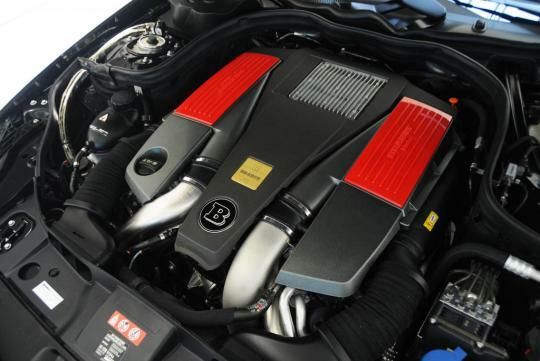 The performance kit increases the power output of the CLS 250 CDI by 31bhp and lifts torque figure to 560Nm. 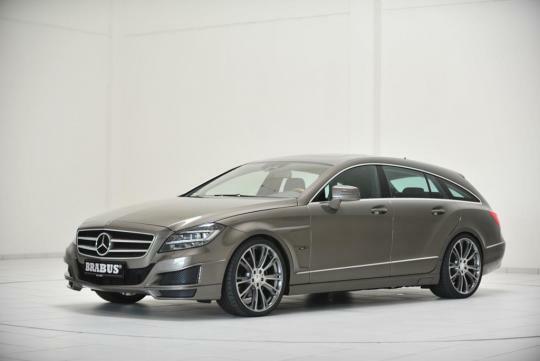 The CLS 350 CDI has a raised output of 313bhp in sport mode, propelling the car to a 100 km/h in 5.9 seconds. 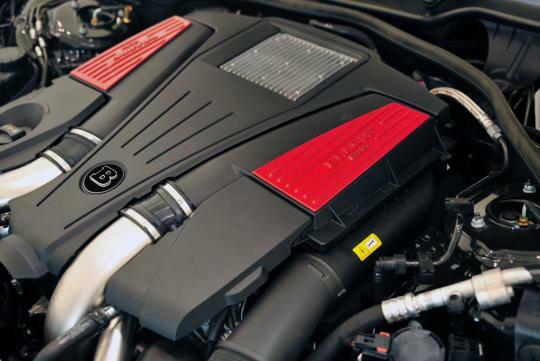 The CLS 500 with its own tuning kit, produces 500bhp and 720Nm to hit a top speed of 300 km/h. 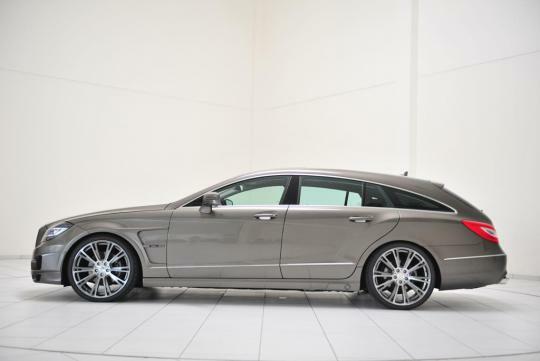 The CLS 63 AMG can generate 619bhp and 737Nm of torque, good for a century sprint of 4.2 seconds with a top speed of 320 km/h - in a station wagon that's probably as long as a light-sport aircraft. 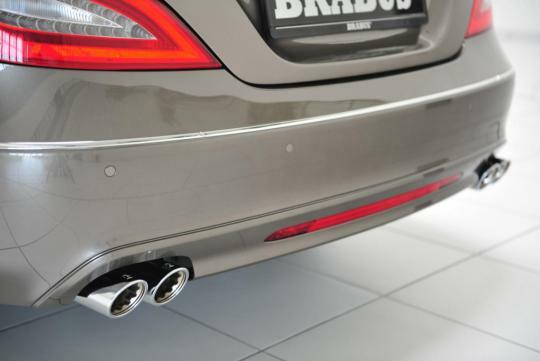 Brabus also offers a stainless-steel quad sport exhaust system with butterfly valve for the CLS 63 that can switch between a quiet 'Coming Home' mode and throaty 'Sport' mode. 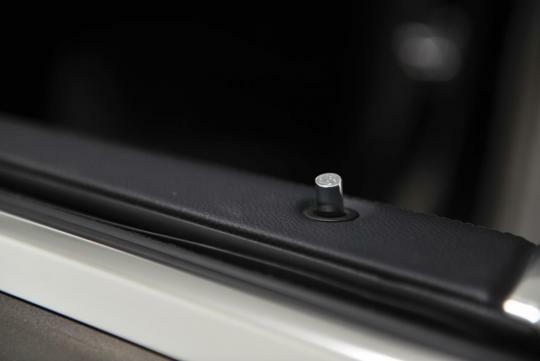 Exclusive interior design range from custom crafted Mastik leather and Alcantara. 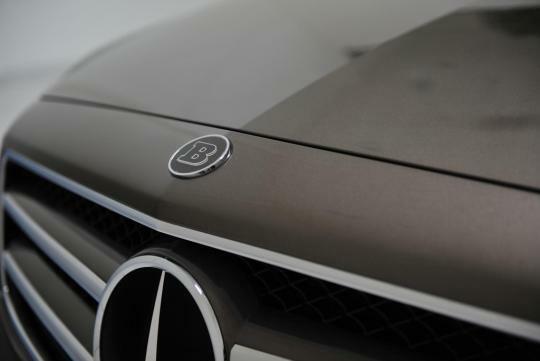 Scuff plates with backlit Brabus logo, a speedometer with up to a 400-km/h dial add sporty highlights. 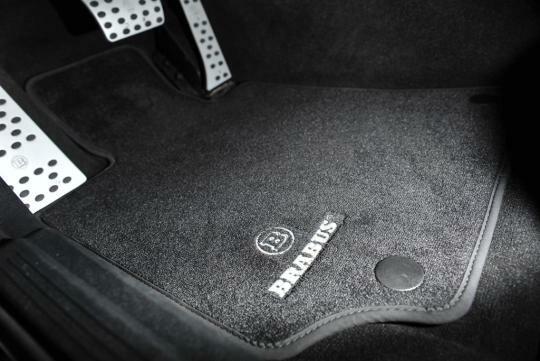 Pedals are finished in aluminum components while clear-coated carbon-fibre inlays for dashboard and center console can be finished in any desired colour or wood inlays in any desired colour and grain.